Go - See - ENJOY!! Which show am I talking about? 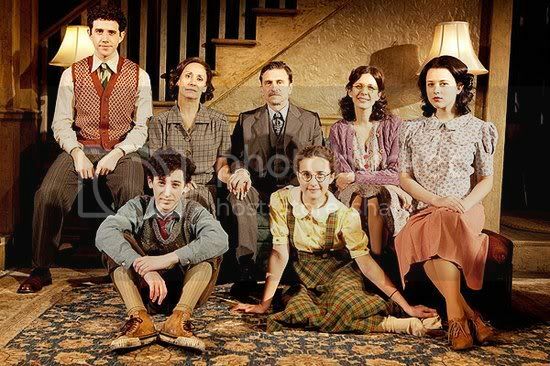 Brighton Beach Memoirs now back on Broadway in NYC. Myself and 3 friends (including one feller) - we ALL enjoyed the show! The cast is AMAZING. They are actors and entertainers. Two women you've seen on small and big screens for years, Laurie Metcalf and Jessica Hecht were wonderful! Truly. If the young actors in this show are apreview of what we have to look forward to from the next generation -- hip hip HOORAY! 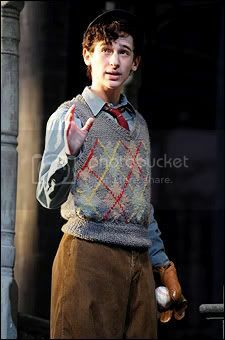 Young Noah Robbins, who plays Eugene (the main character and narrator) stole the show. You hang on his every word. Although the story is set in 1937... it's as relevant and relatable now as it ever was. A war holds their interest and family, jobs and money are scarce and families have bound together to make sure they all survive. I'm hoping to see Broadway Bound after it opens November 18th. Same family - 12 years later. Don't hesitate to buy a ticket and enjoy a great play on Broadway. It will be money well spent!